Welcome to e-Learning Station! The following e-learning resources will help you be successful in whatever role you currently have or aspire to have in the e-learning industry. Enjoy! Allen Interactions is the leader in delivering custom e-learning services and instructional products. 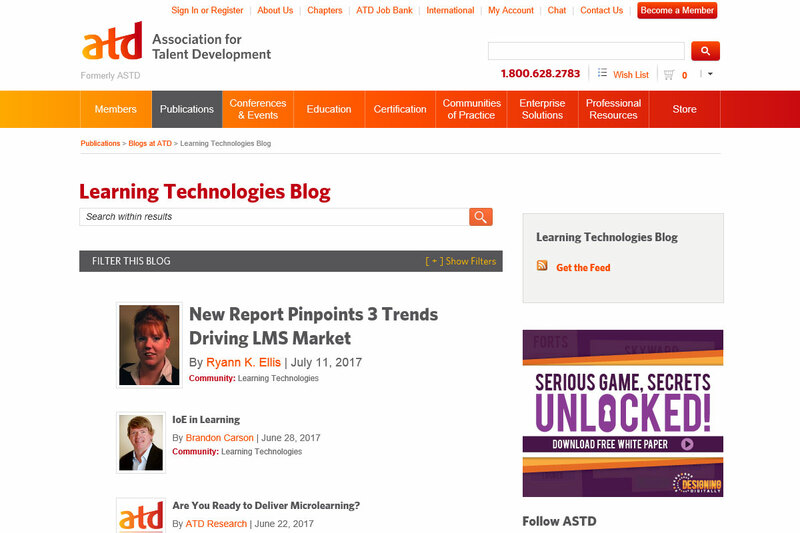 Their blog has hundreds of very helpful posts, including 10 Invaluable Books for Instructional Design (including the best book ever written on e-learning: Michael Allen's Guide to e-Learning, 2nd Edition) and It's an ICE Time to Leave ADDIE Behind. No boring e-learning! 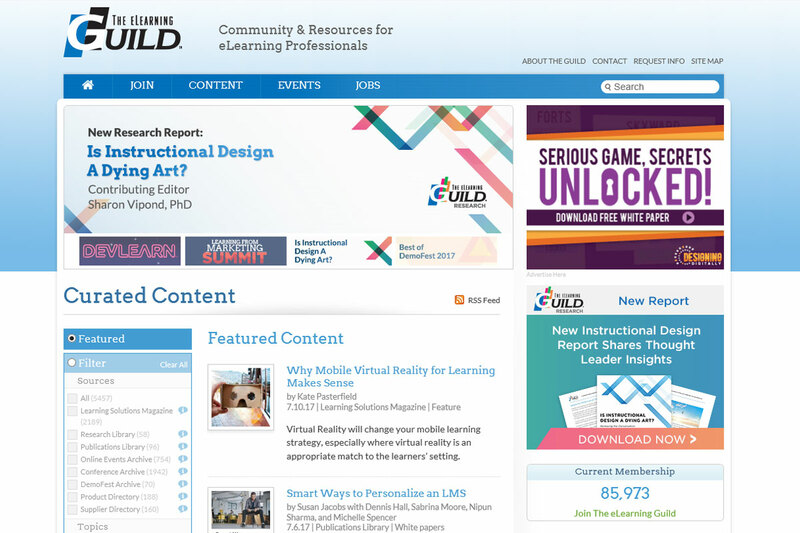 As a member-driven organization, the Guild produces conferences, online events, online and blended training courses, eBooks, white papers, research reports, and Learning Solutions Magazine. 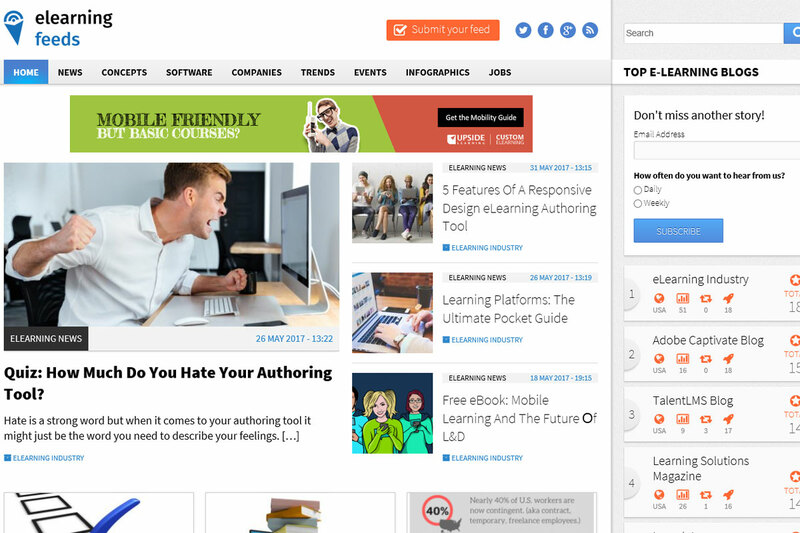 eLearning Industry is the largest online community of elearning professionals in the industry, and was created as a knowledge-sharing platform to help elearning professionals and instructional designers connect and stay up to date with the latest industry news and technologies, and find projects or jobs. 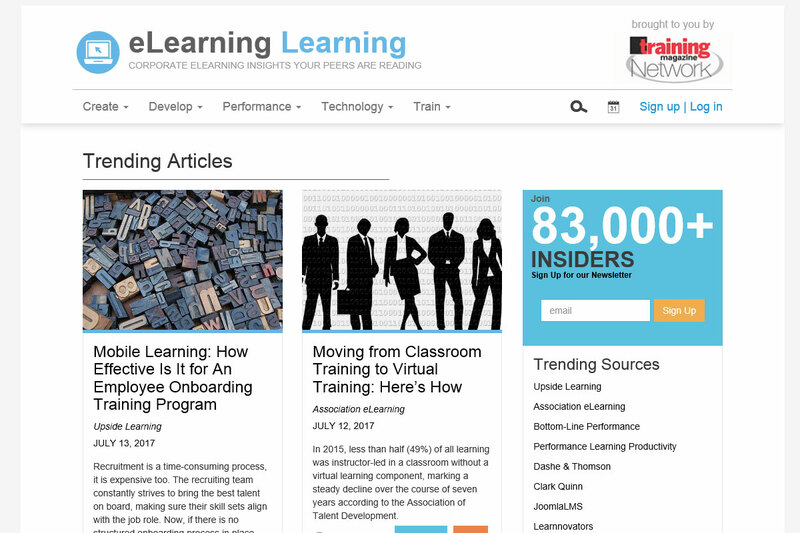 eLearning Learning is a topic hub that collects, organizes and finds the best posts and articles on eLearning, and is brought to you by Training Magazine. 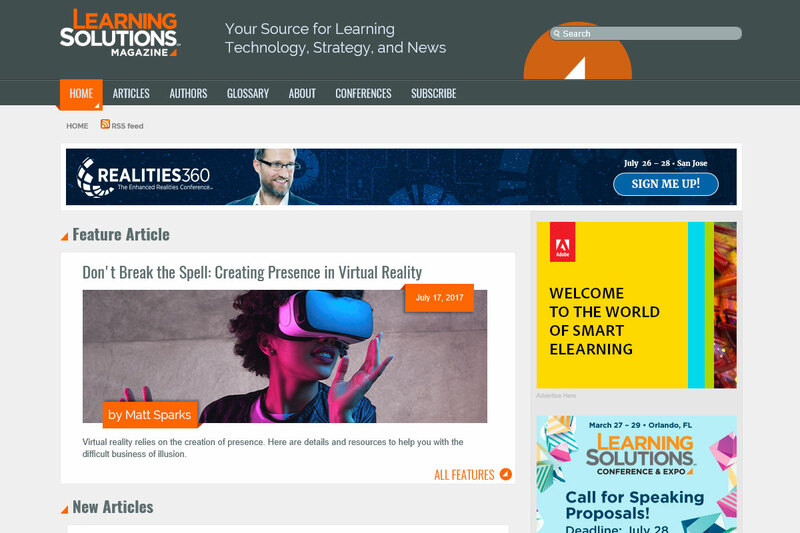 Learning Solutions Magazine is the eLearning industry's oldest and most trusted source for practical information on the strategies, tools, technologies, services, and best practices for the management, design, development, and implementation of enterprise-wide eLearning programs. 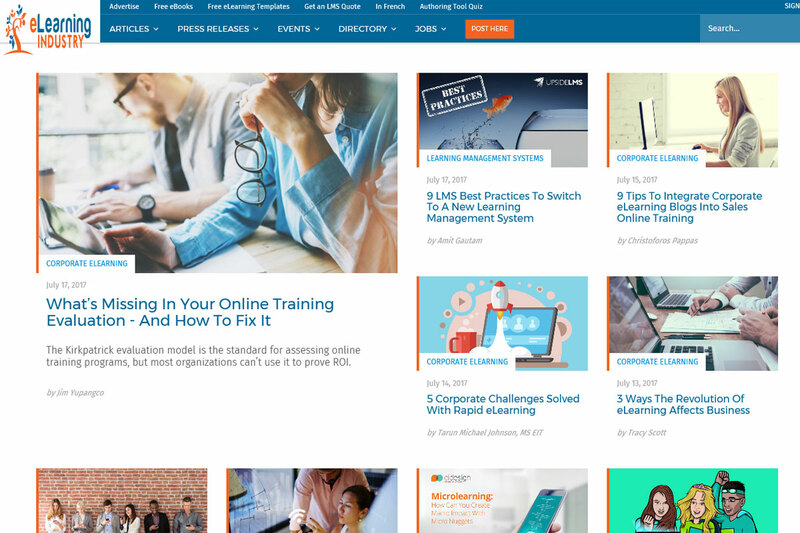 eLearning Feeds ranks and scores hundreds of top e-learning blogs, while helping e-Learning oriented readers to answer the question "What's happening in the e-Learning Industry on a daily basis based on the Top e-Learning Blogs?". 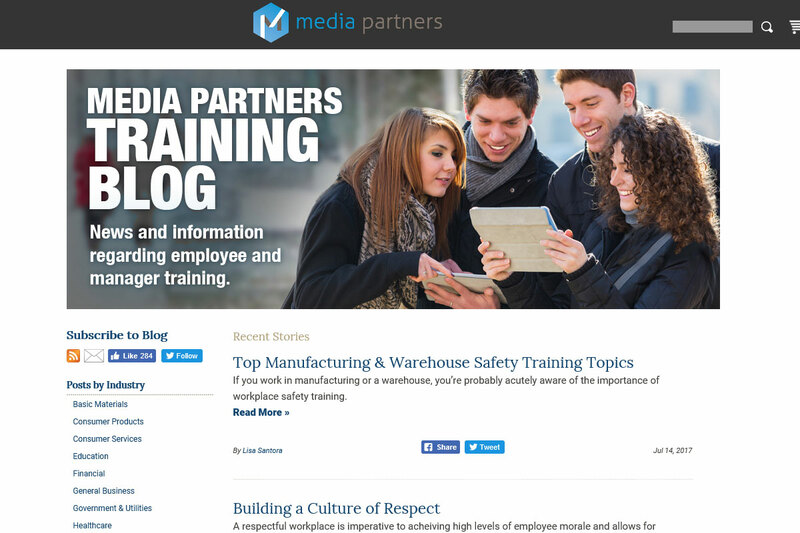 The Media Partners Training Blog provides news and information regarding employee and manager training. Be sure to check out the incredible bestselling customer service video Give em the Pickle! Vyond's mission is to enable businesses, schools, and individuals to make videos, quickly and easily. Vyond is a cloud-based animated video creation platform. With Vyond you can create animated videos for your business using thousands of props, assets, and characters, representing hundreds of industries. 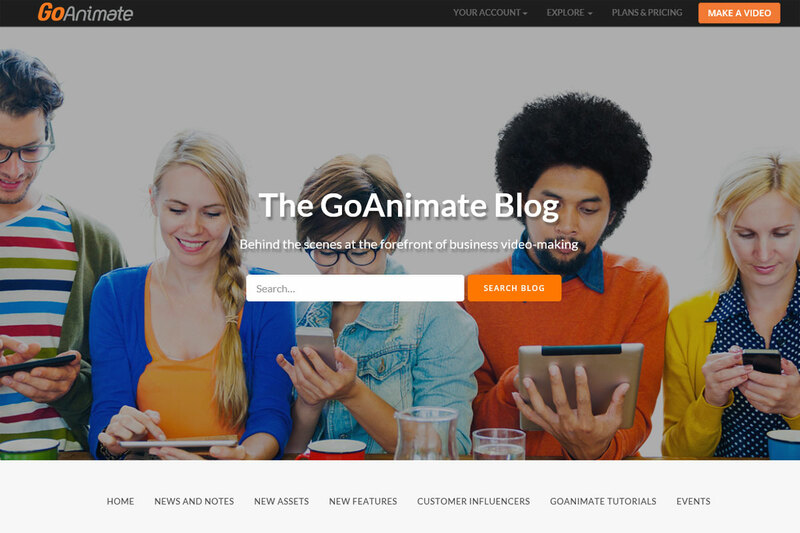 Create professional videos with simple drag-and-drop tools for a low monthly cost.